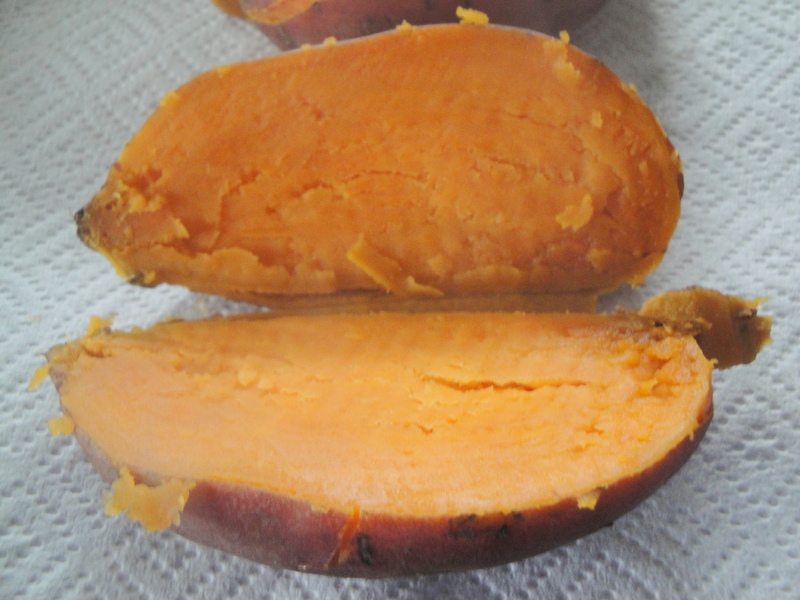 For someone with a massive sweet tooth, I didn’t like sweet potatoes as a kid. You would think that with them being smothered in brown sugar, maple syrup or marshmallows, my chubby face would have been all over these. But it never took with me. I liked my sweets after dinner, not next to my chicken. In fact, I actually thought they were too sweet. 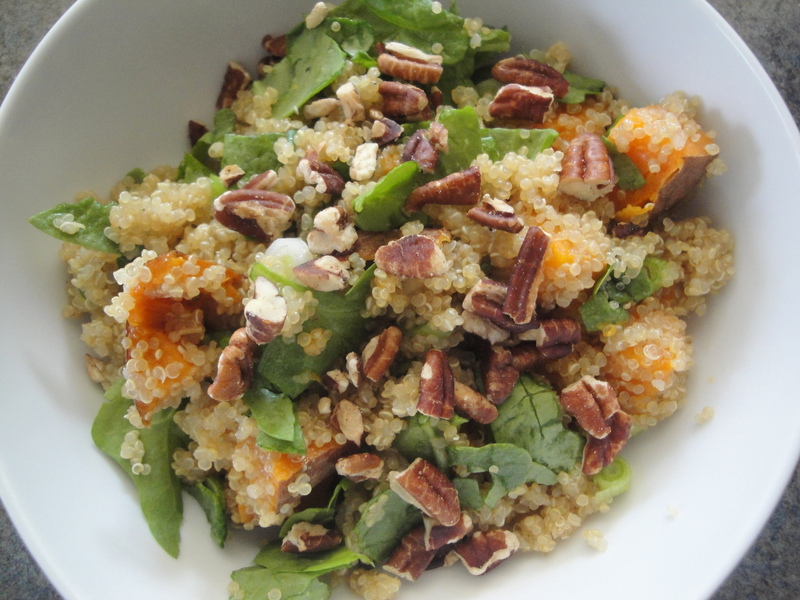 Now that I have a newfound affection for sweet potatoes, I’m happy to try new recipes and have found that when they are made in a savory way, I’m all over them. 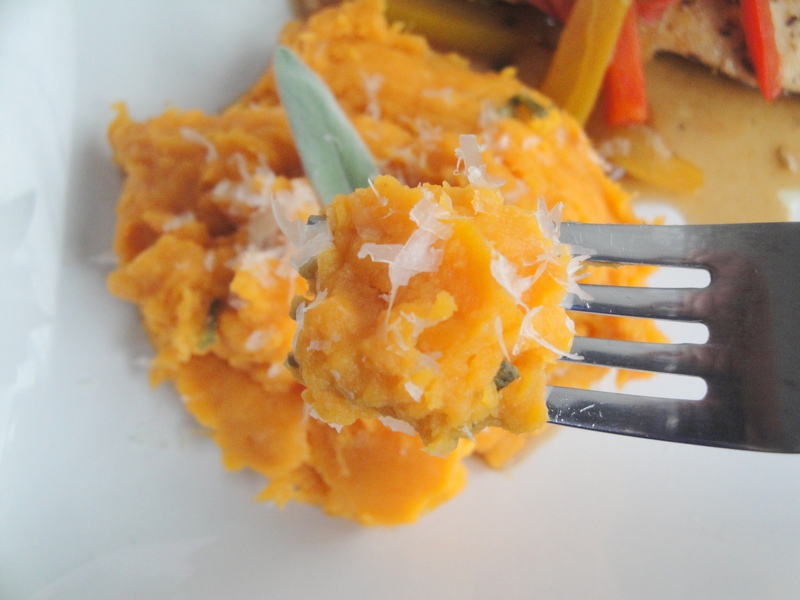 These Parmesan-Sage Mashed Sweet Potatoes are a perfectly non-sweet way to enjoy these sweet spuds. 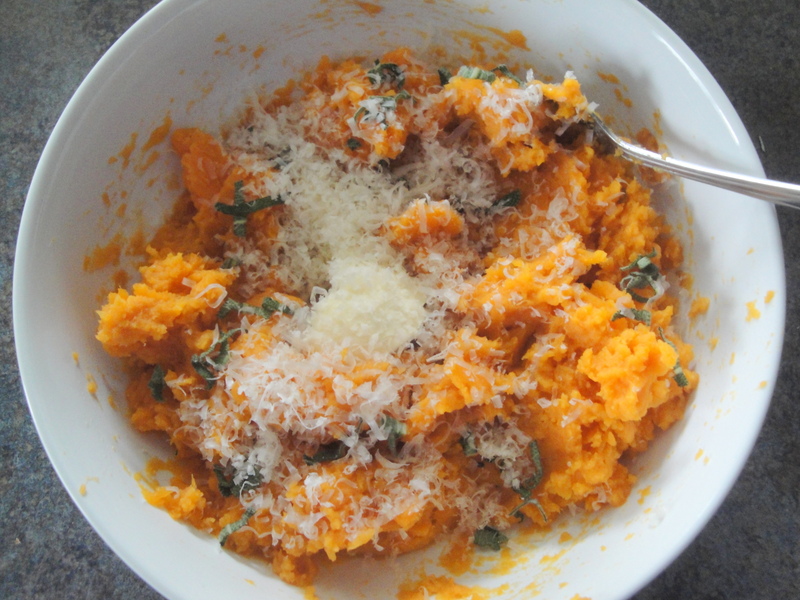 Sweet potatoes are microwaved (I used the pre-wrapped sweet potatoes from the grocery store) and then cooled before the pulp is scooped out and mashed with a little bit of butter, fresh sage, and salty Parmesan cheese. That’s all there is to it. 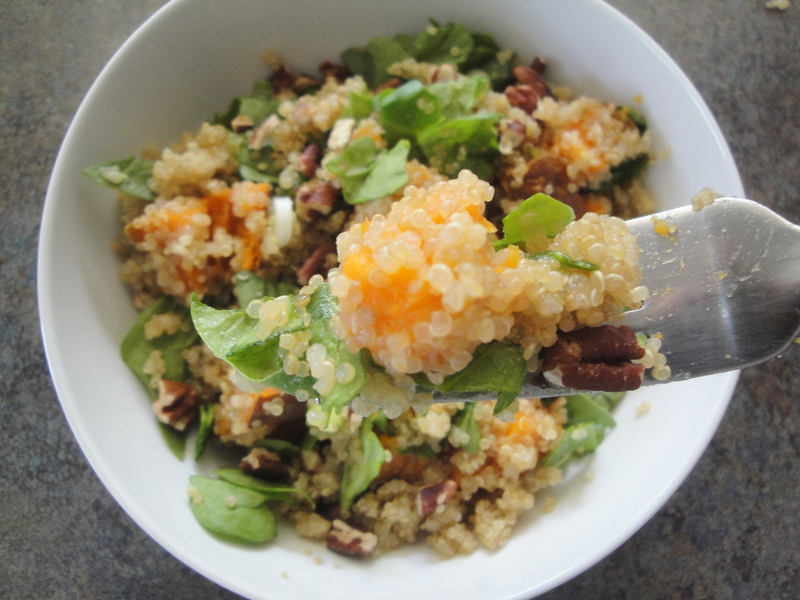 In about 9 minutes, you can have yourself a healthy, superfood side dish. If I liked having sweet potatoes at Thanksgiving, I might consider making these on Thursday but this year I’ll be sticking with plain old mashed potatoes like I had when I was a kid. 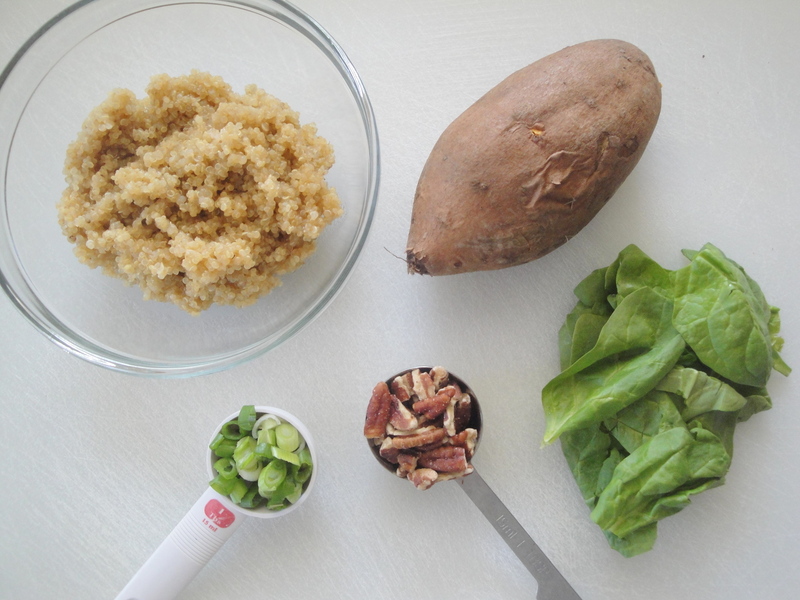 I’ll save these sweet potatoes for every other night of the week. 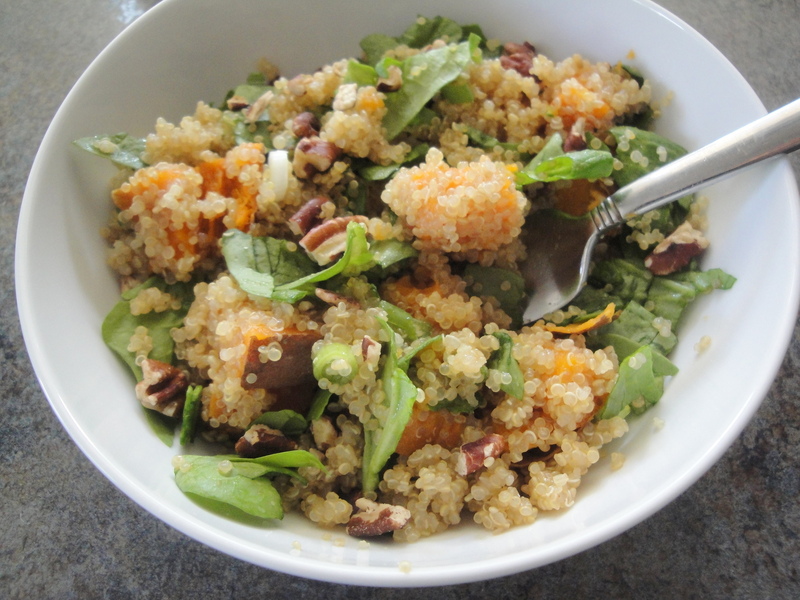 If you like this, also check out Roasted Chipotle-Lime Sweet Potatoes and Twice-Roasted Sweet Potatoes with Chipotle. 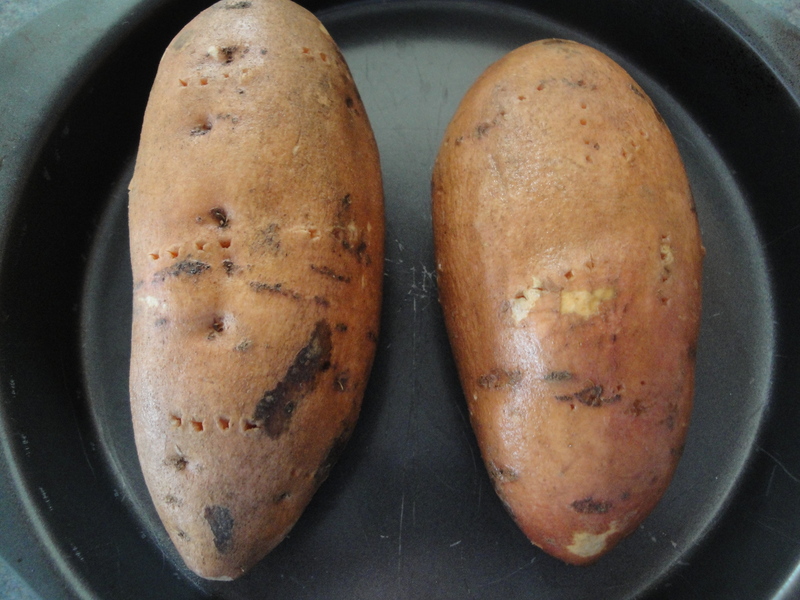 Pierce each potato with a fork 3 to 4 times on each side. Wrap each potato in a damp paper towel. Microwave at HIGH 8 minutes, turning after 4 minutes. Cool slightly. Cut potatoes in half; scoop pulp into a bowl. Mash pulp. 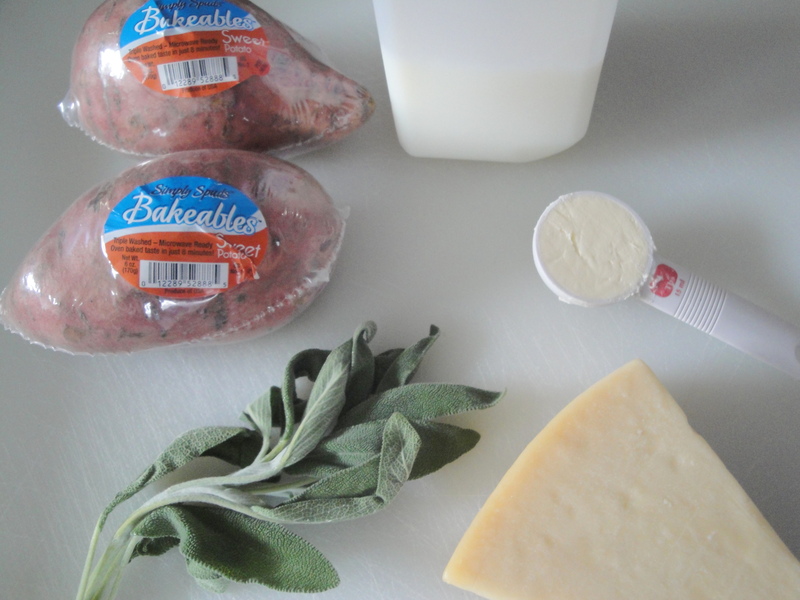 Stir butter, milk, sage, Parmesan cheese, and salt into potato pulp. I put up my Christmas tree this weekend and it seemed a little strange to be doing it when the temperature was in the 50s. Tomorrow we are having our work holiday party and it’s supposed to be almost 65 degrees. Strange. I feel like when it’s December and I’m decorating for Christmas that I should be making food like soup, chili, cookies or some other cold weather comfort food. But when it’s not very cold out, what is there to make? I’ve been trying to stock up on chicken when it’s on sale lately so that’s pretty much all I had in my freezer. I’ve been eyeballing this recipe for Smoky Chicken and Potatoes so I decided this was as good a time as any to make it. Chicken breasts, potato, sweet potato, green pepper, onion and lemon are tossed with garlic and smoked paprika and roasted in the oven until the chicken and potatoes are perfectly cooked. 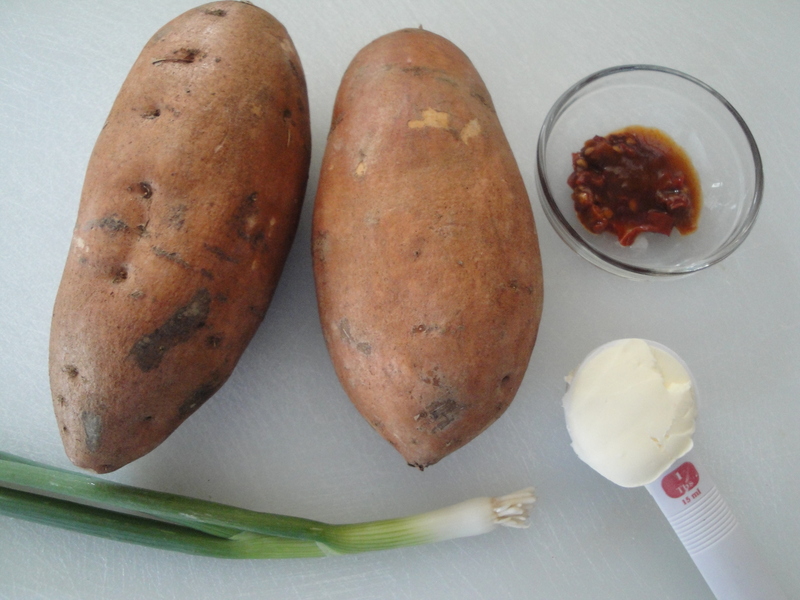 You can use all white potatoes or all sweet potatoes for this recipe but I loved the combination of both here. The chicken is juicy, the potatoes are tender and the addition of lemon and parsley adds a fresh touch. The smoked paprika gives a ton of flavor to the whole dish. This dish was simple to make and didn’t stand a chance before it was all gone. 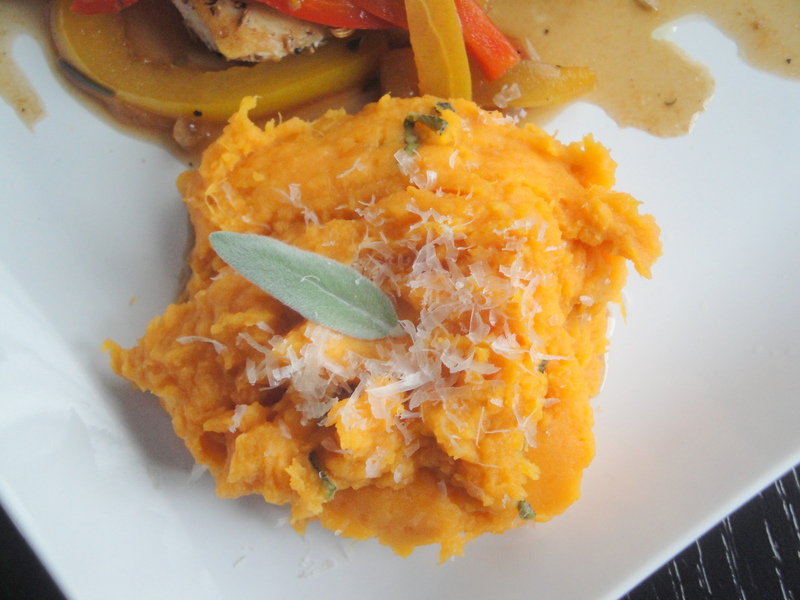 Next time I’m craving sweet potatoes, I’ll remember to make this again. In a 13 x 9 x 2-inch baking dish coated with nonstick cooking spray, combine chicken potatoes, onion, green pepper and garlic. Toss with olive oil, paprika, salt and pepper. Squeeze lemon wedges over the mixture and add wedges to the baking dish. Bake in a 450°F oven for 30 minutes or until chicken reaches 165 degrees, stirring once after 20 minutes. Top with parsley before serving. It’s surprising to me how sometimes I get cravings for food that I didn’t eat as a kid and still don’t eat often. The other day I was sitting at work when the overwhelming craving for sweet potatoes came over me. 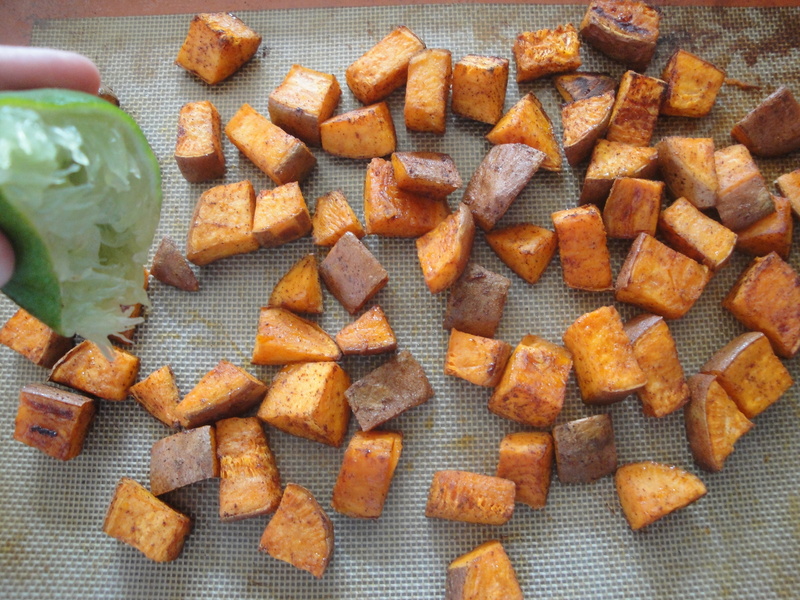 And not just sweet potatoes – roasted sweet potatoes. It was such a specific and odd craving, far more deep than my normal cravings for chocolate or Chinese food. Maybe it was my body’s way of telling me I need Vitamin C? 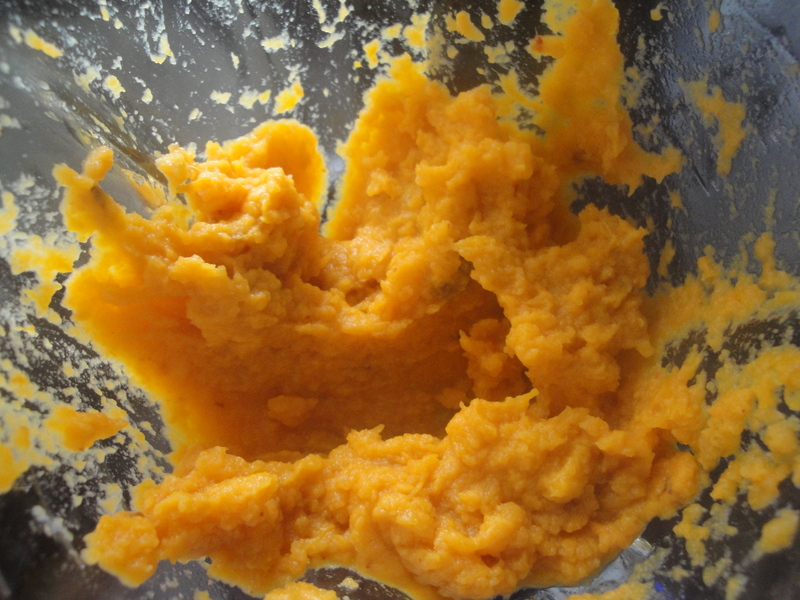 I came home that night and searched through my recipes but could only find recipes for mashed sweet potatoes, nothing roasted. So, I decided to wing it. 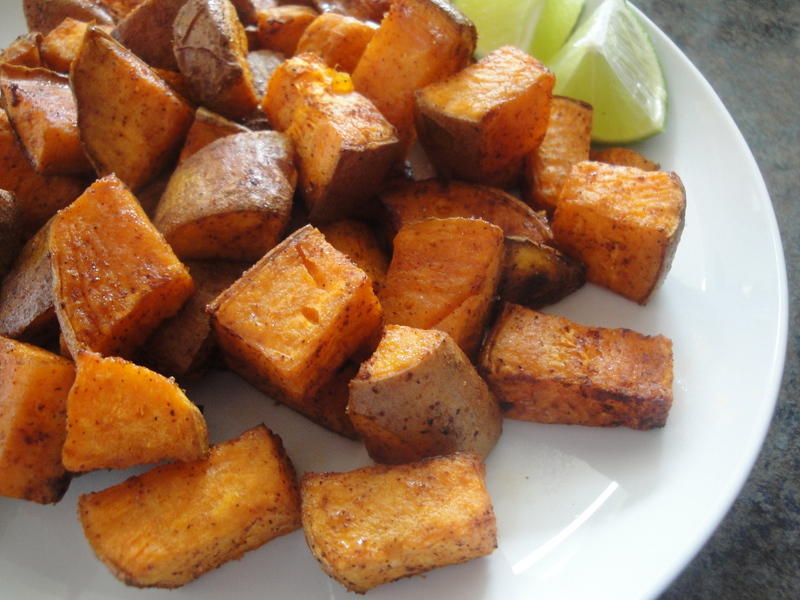 The result were these perfectly sweet and spicy Roasted Chipotle-Lime Sweet Potatoes. 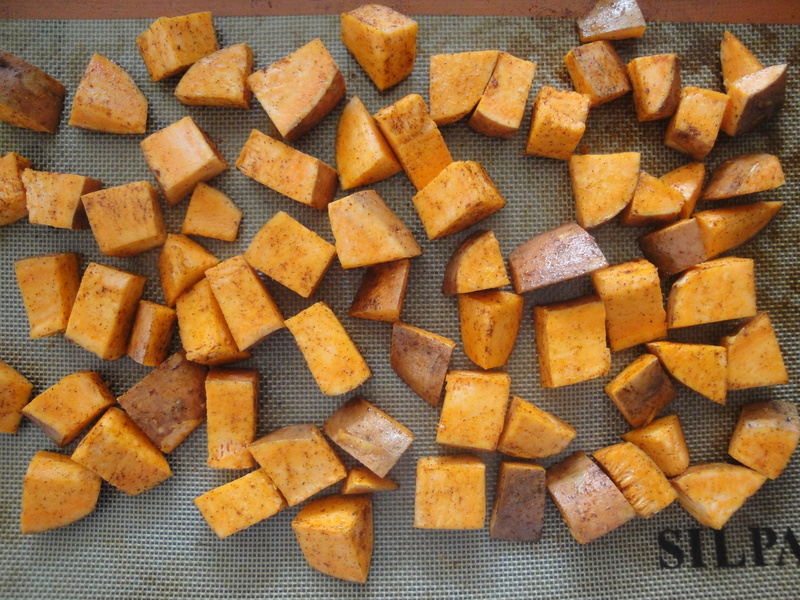 Fresh sweet potatoes are tossed with a little olive oil and chipotle chile pepper before being roasted in the oven until browned and soft. A light sprinkle of salt and squeeze of fresh lime juice finish off these potatoes which could be eaten as a side to any dish or simply as a light meal in itself. The combination of natural sweetness in the potatoes with the spicy chipotle makes for a perfect marriage of flavors and the addition of citrus at the end really brightens up the whole dish. 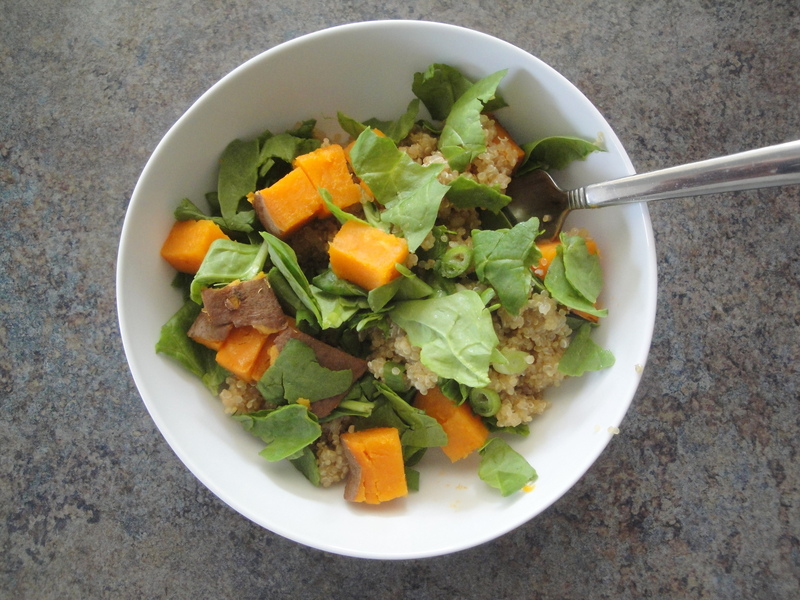 If you take a quick scan online for roasted sweet potatoes recipes, most include brown sugar or honey but I didn’t want any added sugar and preferred to keep this savory. If you don’t like the spicy kick of chipotle chile pepper and prefer a more subtle flavor, cinnamon or smoked paprika would be good substitutions. Preheat oven to 400°F. 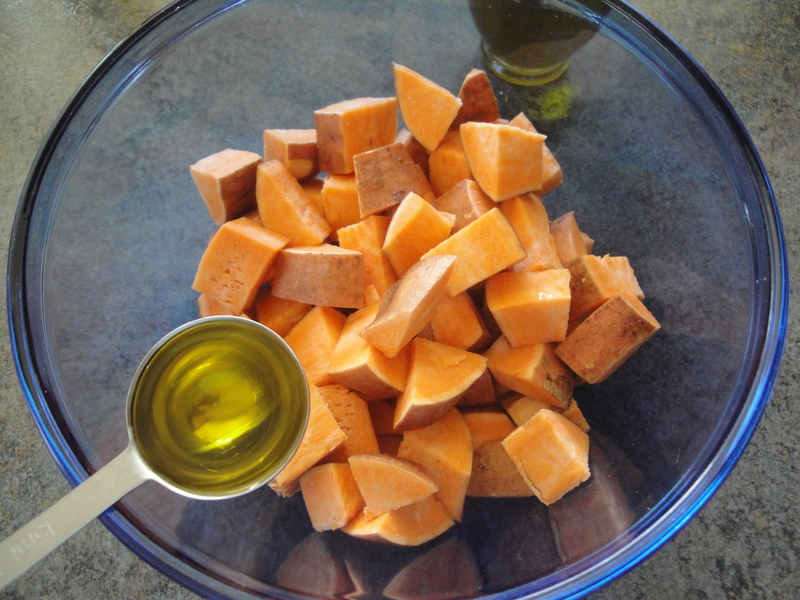 Chop sweet potatoes into bite size pieces and place in a large bowl. Add olive oil; toss to coat. Sprinkle chipotle chile pepper over the potatoes; toss to coat. Place potatoes on a baking sheet, spreading into a single layer. Bake for 30-35 minutes, tossing once halfway through, until potatoes are soft and browned. 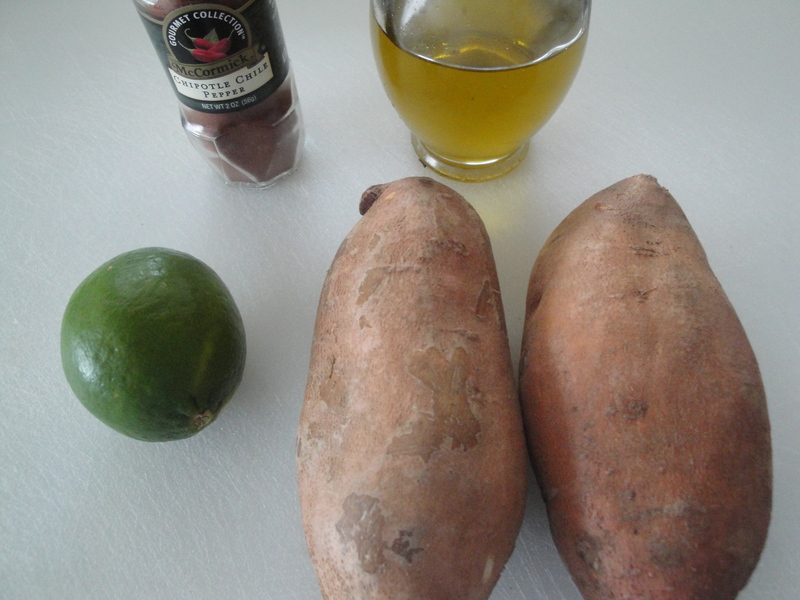 Squeeze lime juice over warm potatoes. Sprinkle with salt, to taste. 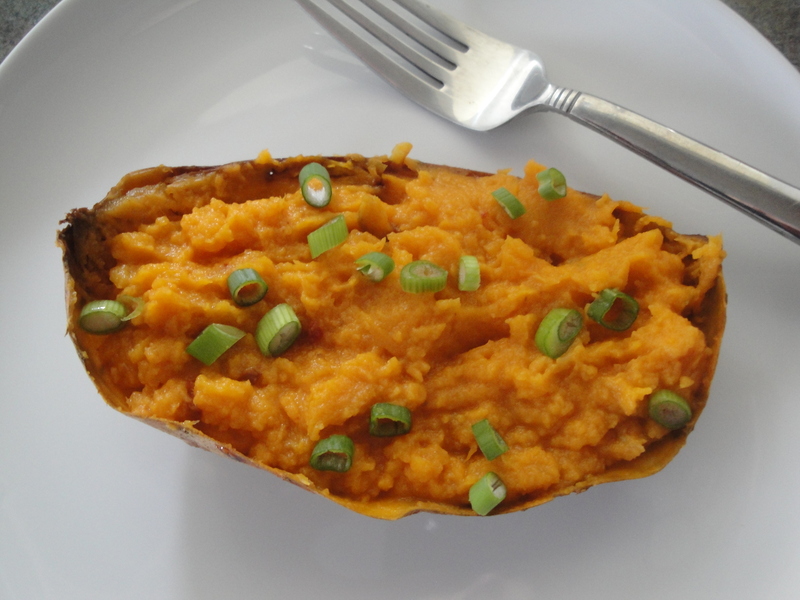 Chop sweet potatoes into bite size pieces and place in a large bowl. Add olive oil; toss to coat. Sprinkle chipotle chili pepper over the potatoes; toss to coat. Place potatoes on a baking sheet, spreading into a single layer. Bake for 30-35 minutes, tossing once halfway through, until potatoes are soft and browned. Squeeze lime juice over warm potatoes. Sprinkle with salt, to taste. Happy Spring everyone! As I mentioned last week, I don’t often eat potatoes but I’ve decided I have to make a better effort to include sweet potatoes in my diet. I never ate them as a kid which may be why I don’t eat them as an adult but they are a great source of Vitamin A so why not eat one from time to time? I have to admit that I’m not a huge fan of the sweetness of these guys – much to the shock and dismay of my ever-present sweet tooth – so if they are prepared in a savory way, I’m ready to try it out. Other than my one attempt at making sweet potato fries a few years ago, I didn’t know the first thing about preparing these orange gems. 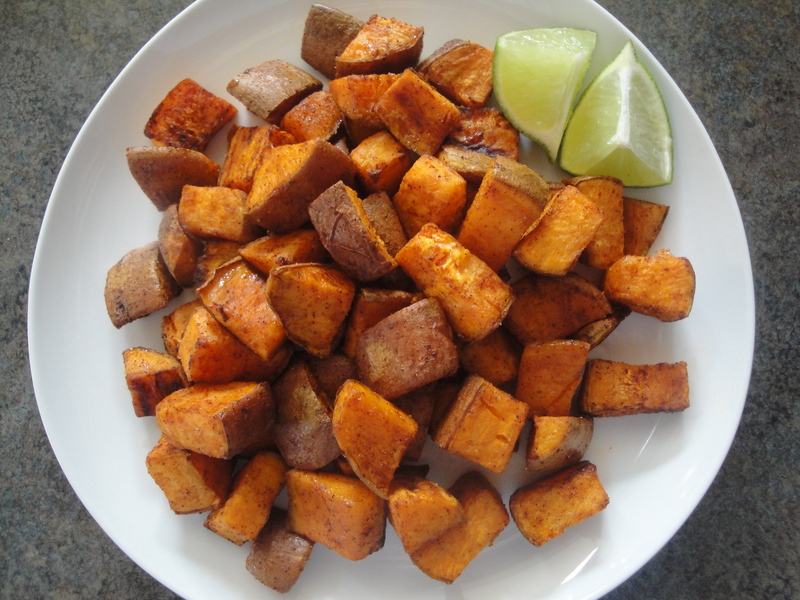 Since I’m obsessed with the smokiness of chipotles in adobo sauce, these Twice-Roasted Sweet Potatoes with Chipotle seemed like a perfect way to give sweet potatoes a new shot. I have to tell you – I inhaled this. The contrast of the smoky with the sweet really knocked my socks off and the slight bite of the green onions really took this over the edge. I’m officially obsessed. You win, sweet potatoes. I concede! Pierce the potatoes with a fork and place on a baking sheet. Bake at 400°F for 1 hour and 15 minutes or until done. Allow potatoes to cool slightly. Cut potatoes in half and carefully scoop out the potato pulp. Put into a food processor with butter, chiles, adobo and salt. Add in the white part of the scallions and process briefly. 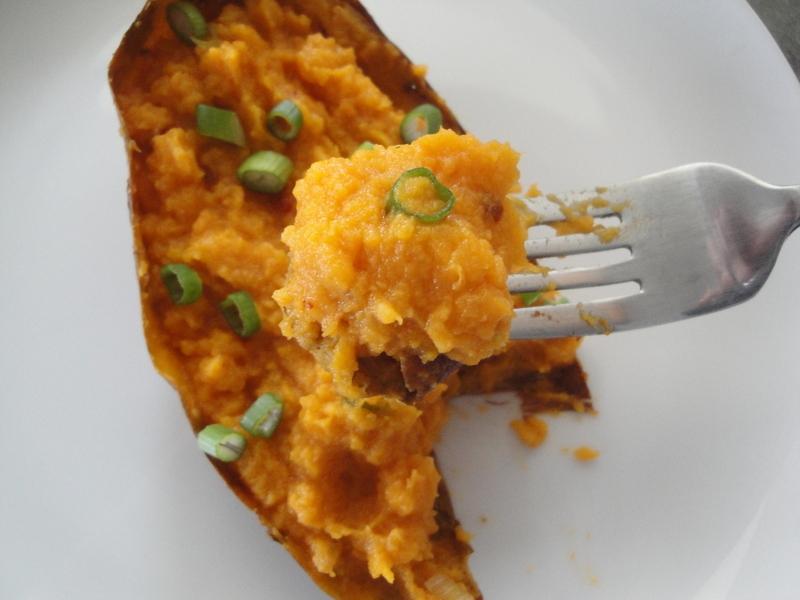 Spoon potato mixture into the shells and bake at 400°F for 10 minutes or until hot. Top with thinly sliced scallions.